TUESDAY, Feb. 6, 2018 (HealthDay News) -- Most dogs are excited to hear the words "Want to go for a walk?" But one-third of pug dogs have an abnormal gait, and this may be a more serious health problem for this breed than previously thought, researchers say. 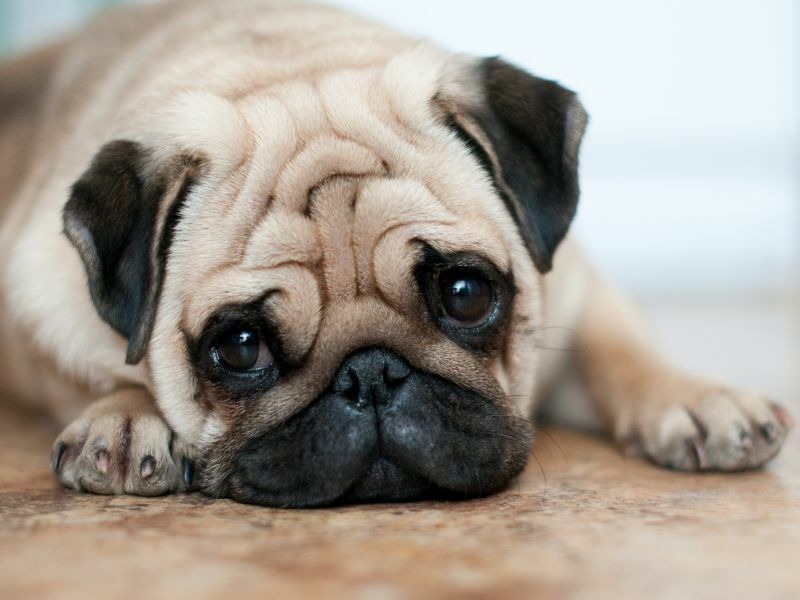 The finding was based on survey responses from 550 owners of pugs registered with the Swedish Kennel Club. All dogs were 1, 5 or 8 years old. Through owners' reports and videos of the dogs walking on a leash, the researchers found that 31 percent of the pugs had a gait abnormality or indications of one. The study authors described this as a high percentage. Abnormalities included lameness, poor coordination and weakness. Indirect signs of gait abnormality included a dog's inability to jump and unusual wearing of the nails and the skin on their paws. Gait abnormalities were strongly associated with older age, and were also linked with breathing problems and excessive scratching around the neck, ears and head. Pugs with abnormal gait also were more likely to have incontinence, the findings showed. The researchers found no connection between weight and gait abnormalities in the pugs. The report was done by Cecilia Rohdin, of the Swedish University of Agricultural Sciences in Uppsala, and Anicura Albano Animal Hospital in Danderyd, Sweden, and colleagues. It was published online Feb. 5 in the journal Vet Record. Noting that an abnormal gait was the most frequent reason cited for having to put a pug to sleep, the study authors said this "suggests gait abnormalities to be a more significant health problem than what previous published scientific literature has suggested." The researchers noted that abnormal gait can be caused by orthopedic and neurological conditions, but did not try to determine the cause of each dog's gait issues in the study. However, Rohdin and colleagues said in a journal news release that "the high prevalence of wearing of nails reported in the questionnaires, and the fact that lameness was not a common finding in the submitted videos, suggest that the majority of gait abnormalities in the pugs were indeed related to neurological rather than orthopedic disorders."